This is by far my most favourite place to have lunch in the West End. It's tasty and home cooked and I enjoy each mouthful whenever I eat there. Is a small indepently run business so I don't think you can ask for more. 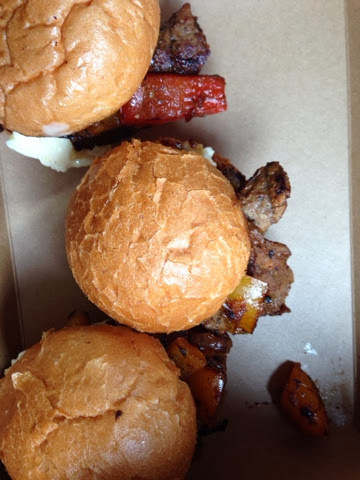 I like the sliders as the bread to meat ratio is perfect. This time I got 3 brisket and 3 Philly cheesesteaks. 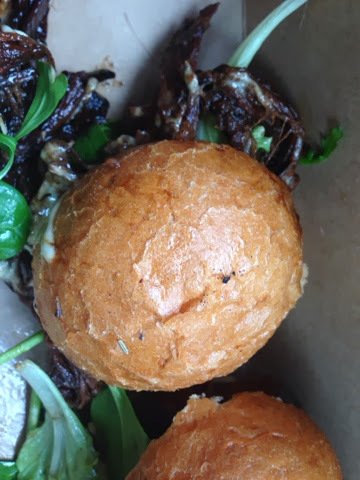 I cannot emphasise the intense umami mouthfuls both these sliders give. It is serious mmmmh eyes shut stuff. I would be proud to make this food. I loved the sound of this bakery stall and knew that I would have to seek it out after we had our bacon sandwich at St John Bread & Wine. It was right round the corner at the Sunday market in Spitalfields- Upmarket. Not being a fan of the cupcake (shocking, I know) I made a beeline for the tray bakes. 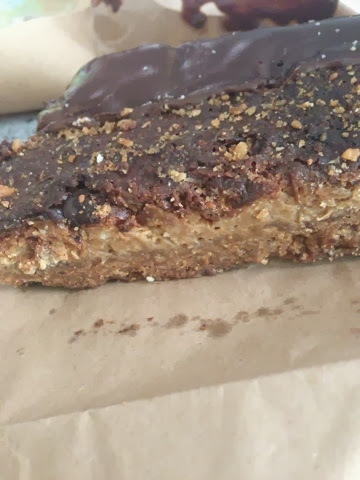 The signature slice : a base of salted pretzels, baked with chunks of chocolate (dark and white), pecan nuts, dulce de leche and shredded coconut. This was great but unfortunately the piece I got was slightly overdone which slightly spoiled its great taste. That didn't stop me from eating all of it of course, a feat which did take a couple of days though. 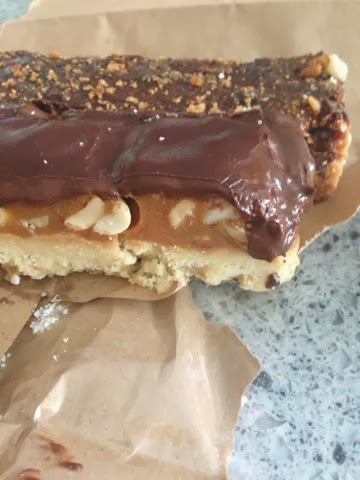 The other slice which should have been equally as good as it was essentially a marathon/snickers bar was less successful for some reason that eludes me. A stall to seek out. 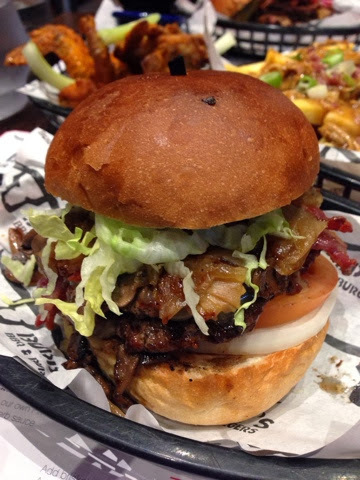 We had tried out Buddy's burger joint a couple of months ago as it had rave reviews on James vs Burger. As we enjoyed what we had and were in the vicinity of their new sit in place we thought we would give it a shot. page. Their new place is located on that strip with Shimla pinks, cookie and the Bungo all nearby. There is plenty of parking on the side streets and the venue itself is large and family friendly. 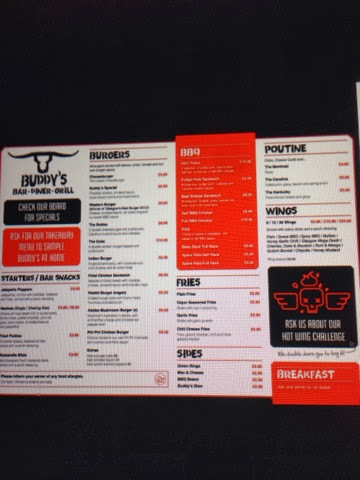 I ordered the double buddy with jalepenos, HI ordered the brisket sandwich and the Carolina poutine and out of curiosity 6 mega death wings. The good points were the burger. It was large and juicy. Doubling the patties is a good idea as they are thin and cooked through. I would ask for the lettuce and tomato to be on the side next time as I think they dilute the flavour. 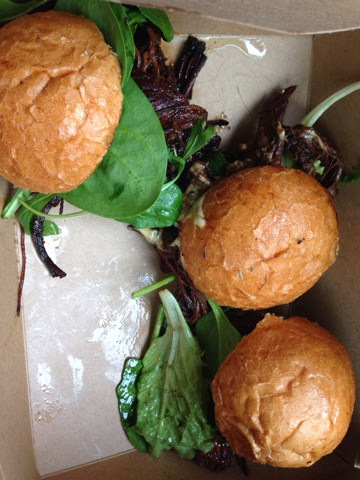 The overall taste was good although the bun a bit dry and bready for my liking. 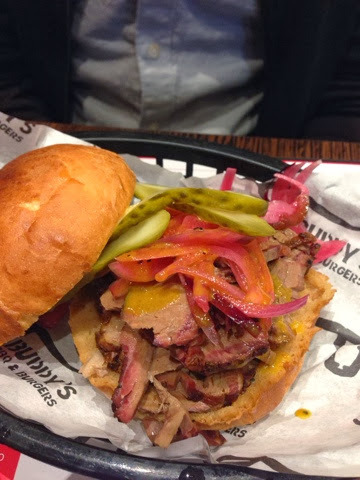 The brisket sandwich was ok, but compared to others especially roast it was dry and not flavoursome enough. 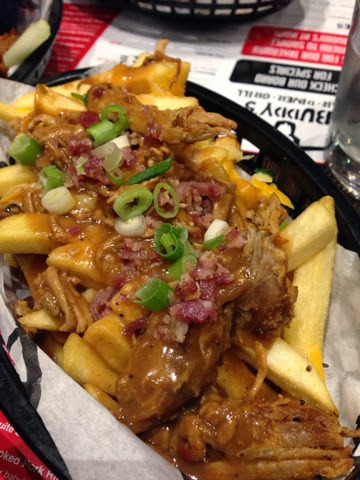 The poutine was tasty but very rich and a perfect stoner/ hangover dish. I think there could have been more cheese curds and I think thinner or better cooked fries would work better. 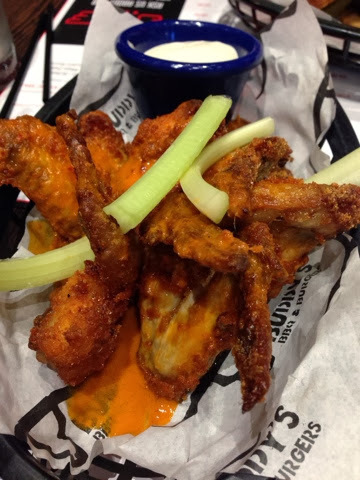 The wings were unfortunately coated then fried, something which was not made clear on the menu and is to my mind unnecessary. The nega death sauce as always very good. The service was friendly and effiecient and our food came out promptly. 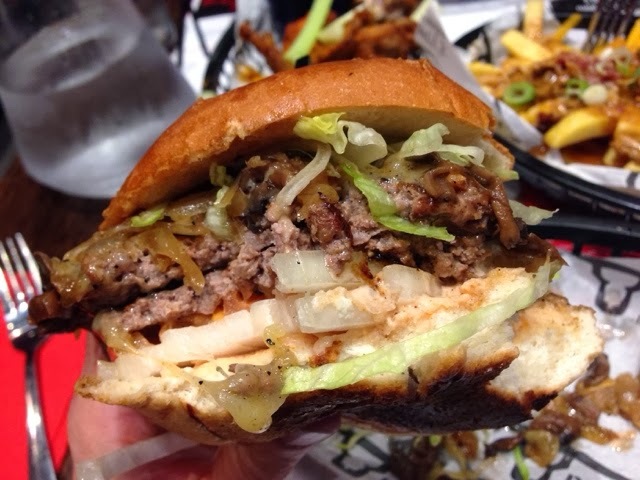 If I wanted somewhere to go with the kids or a large group of friends I would return and stick to the burgers, as they do these well. Places like burger meats bun or bread meats bread or smoak as rivals and have their own strong points. 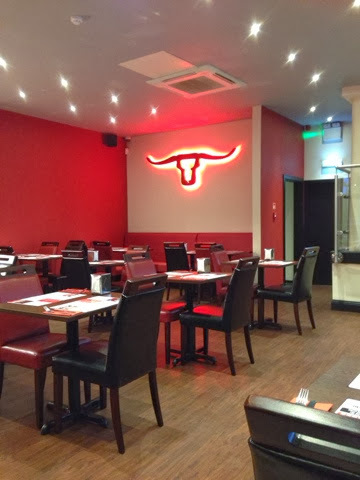 Roast in the West End to my mind is the best brisket and Philly cheesesteak in Glasgow.